A Simple and Lightweight WordPress Option Framework for Themes and Plugins. Save your time! 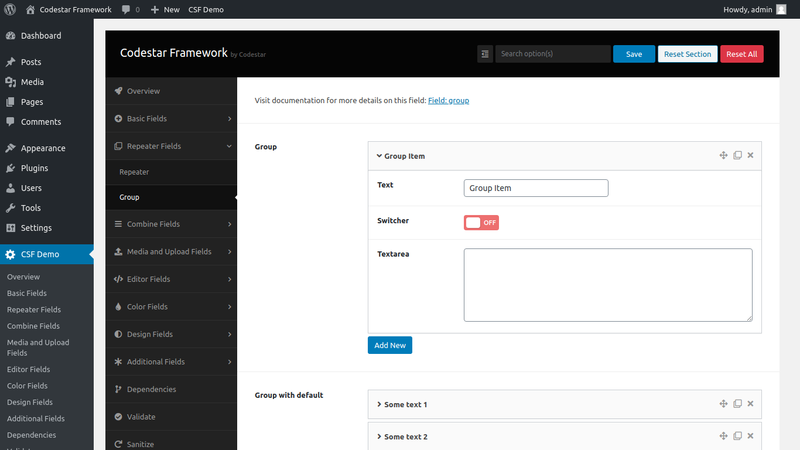 Built in OOP paradigm with high number of custom fields and tons of options. It's highly modern and advanced framework. 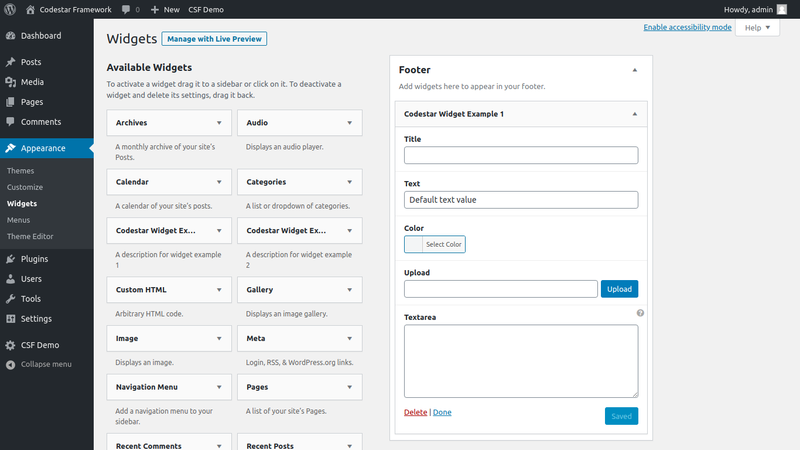 Inherits the default WordPress Customizer with integration of own custom fields. It's more powerful to customize your site on live. 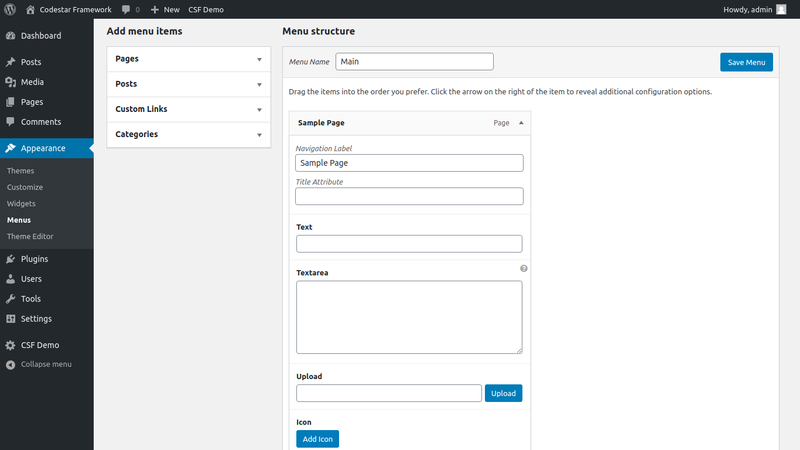 Allows you to bring custom metabox settings to all of your pages and posts. We provide advanced settings with numerious number of fields. 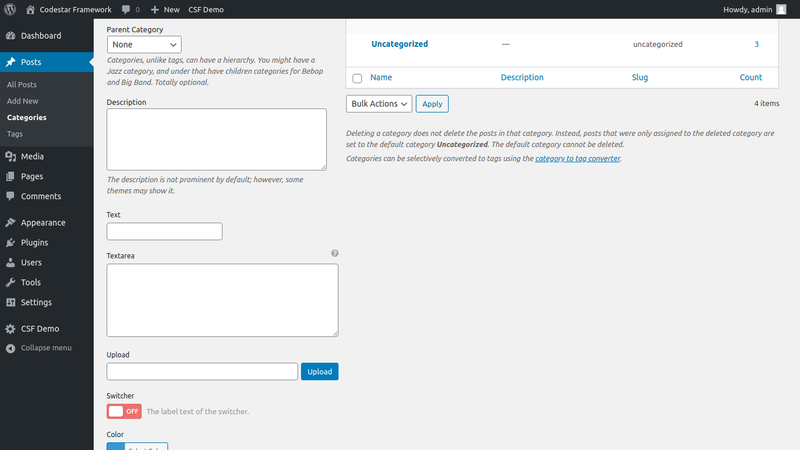 Allows you to bring custom taxonomy settings to all of your categories, tags or CPT. We provide advanced settings with numerious number of fields. 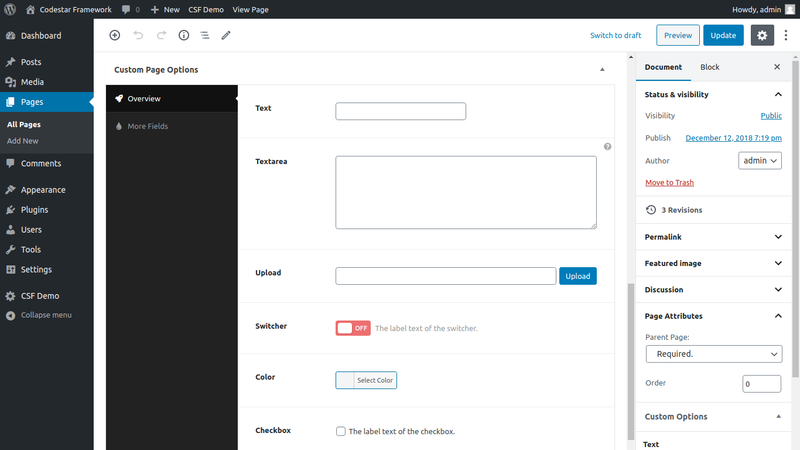 Comes with pre-built shortcode editor to manage your content. It's easy and flexible to build unlimited layouts with endless possibilites. What is the difference between Free vs Premium version? 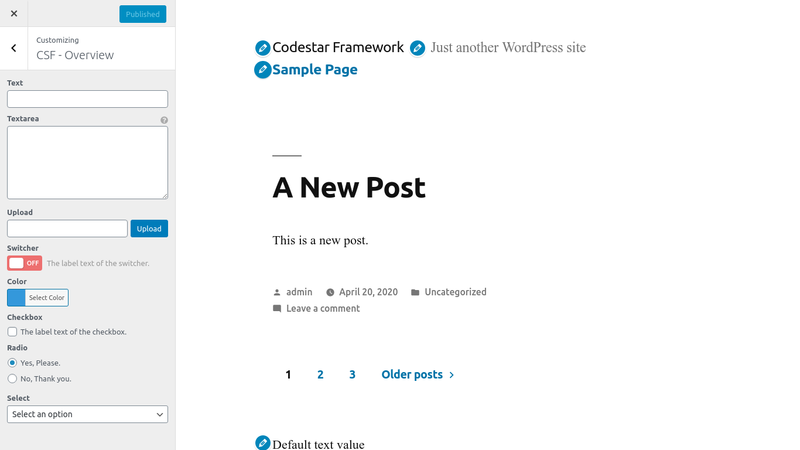 Codestar Framework have two different version. 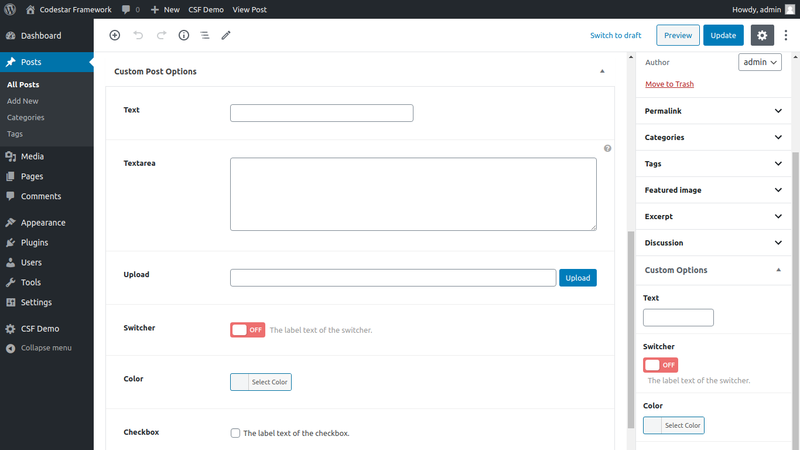 Free version has limited features and offers only admin option panel feature. Premium version offers all extensions and more of settings for the best experience and advanced features. Yes, We are provide support for premium version users. You can join to support forum for submit any question after purchasing premium version. Free version users support is limited on github. Can i bundle this item within theme/plugin and sell on ThemeForest or other project? Yes, Both free and premium versions you can bundle this item in the premium theme/plugin and sell them in your own website or in marketplaces like ThemeForest. Yes, We strictly follow the Envato Market Refund Rules. These rules outline what you can expect from authors of the items you buy. They provide a transparent approach to refunds giving you a great platform experience and a fair go. If you did not find the answer you were looking for, you can contact us via the email or github.